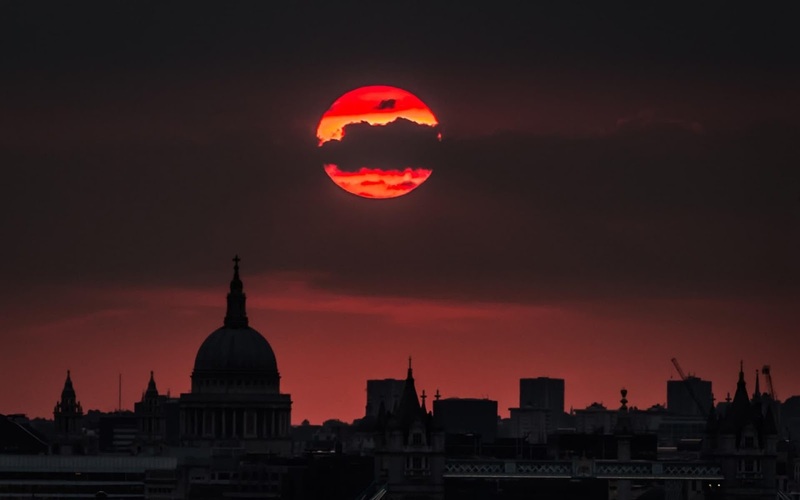 Dramatic evening setting sun over the central city landscape with St. Paul's Cathedral in view. 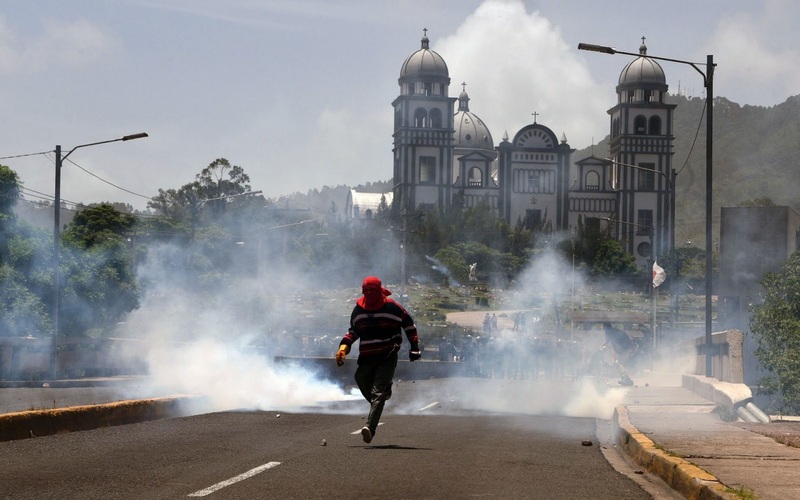 A University student clashes with riot police during protests in the framework of a transport strike in Tegucigalpa. 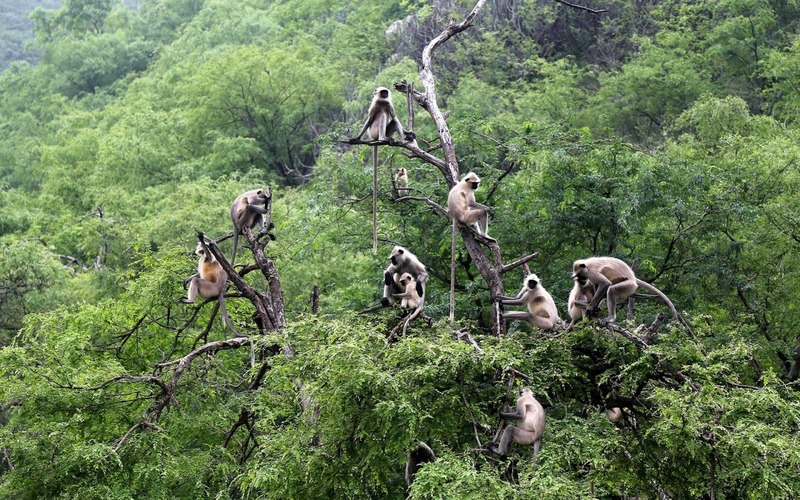 A group of langur monkeys sit on the branches of a tree in Pushkar in the western Indian state of Rajasthan. 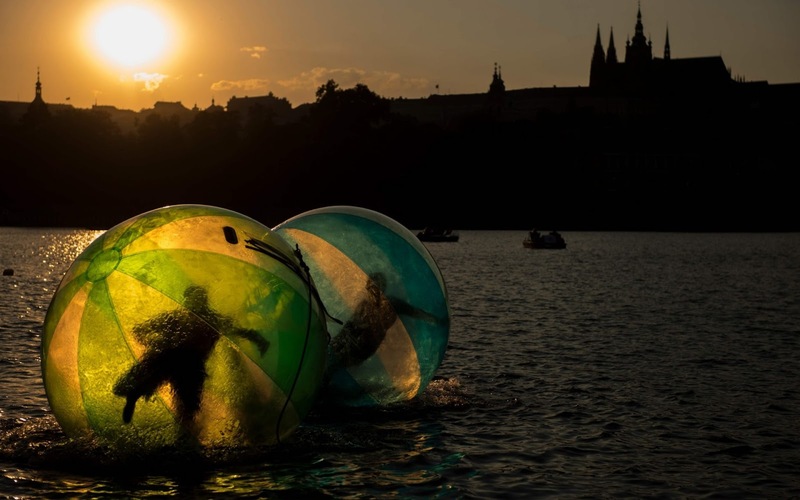 Tourist use zorb balls on the Vltava river in Prague. 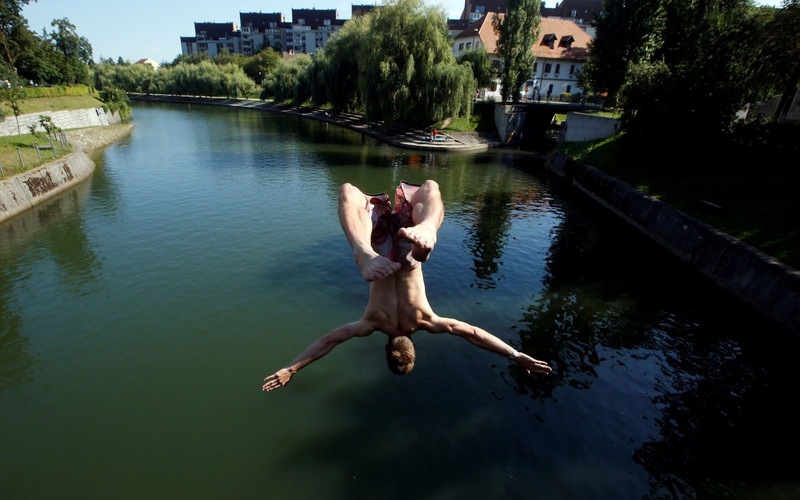 A young man jumps into the Ljubljanica River to cool off in hot and humid weather in Ljubljana, Slovenia. 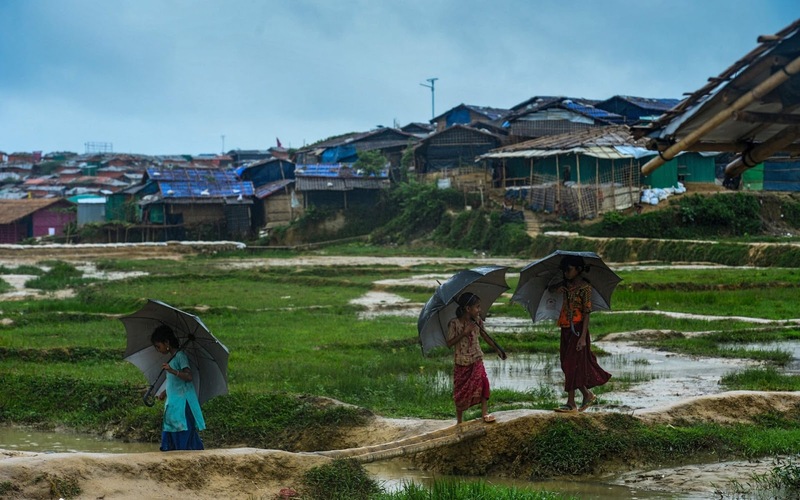 Rohingya refugee children shelter from the rain wiht umbrella at Jamtoli refugee camp in Ukhia. 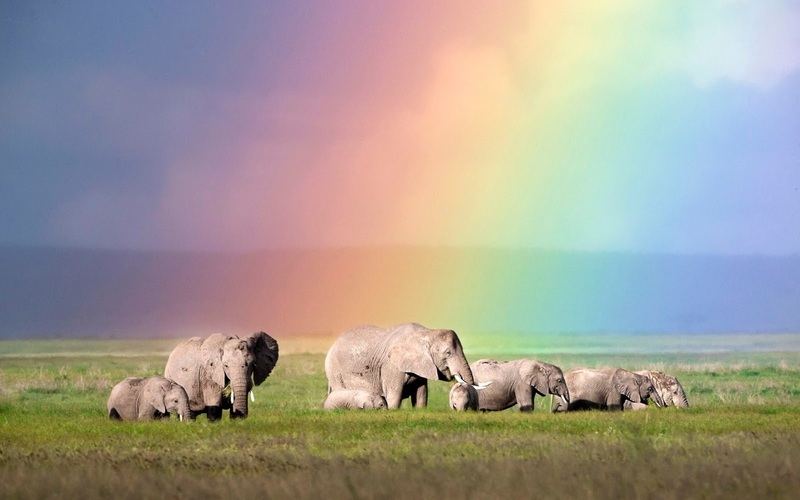 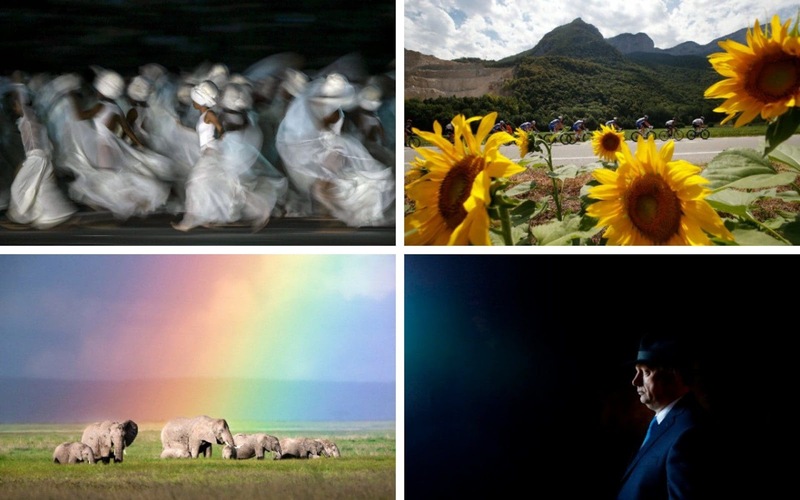 A herd of elephants was caught on camera exactly at the moment a rainbow appeared- creating a beautiful picturesque image. 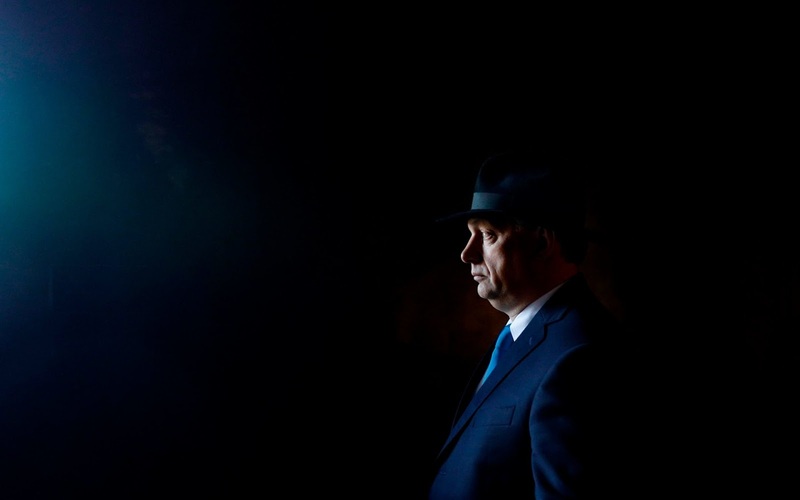 Hungarian Prime Minister Viktor Orban attends a memorial ceremony at the Hall of Remembrance. 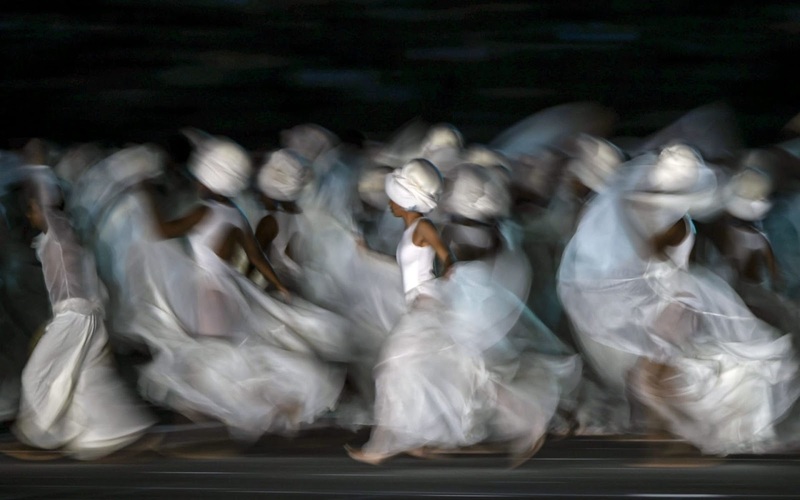 Artists perform during the opening ceremony of the 2018 Central American and Caribbean Games (CAC), at the Metrpolitano stadium in Barranquilla, Colombia. 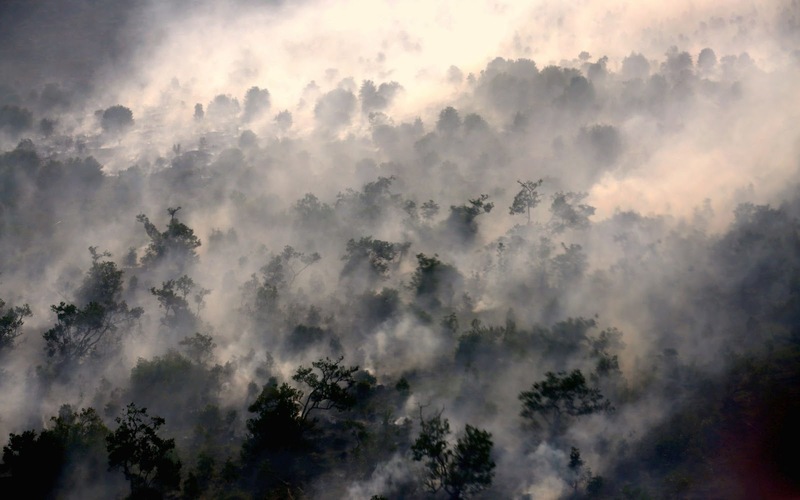 A forest fire is seen in Ogan Komering Ilir Forest fire, Ogan Ilir, South Sumatera. 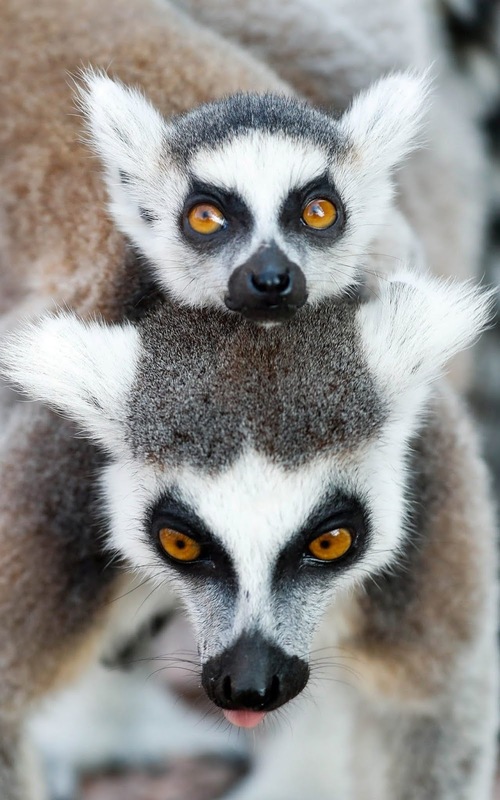 A Lemur catta, also known as ring-tailed lemur, with a cub clinging to its back, is seen at wildlife park "Pairi Daiza" in Brugelette, Belgium. 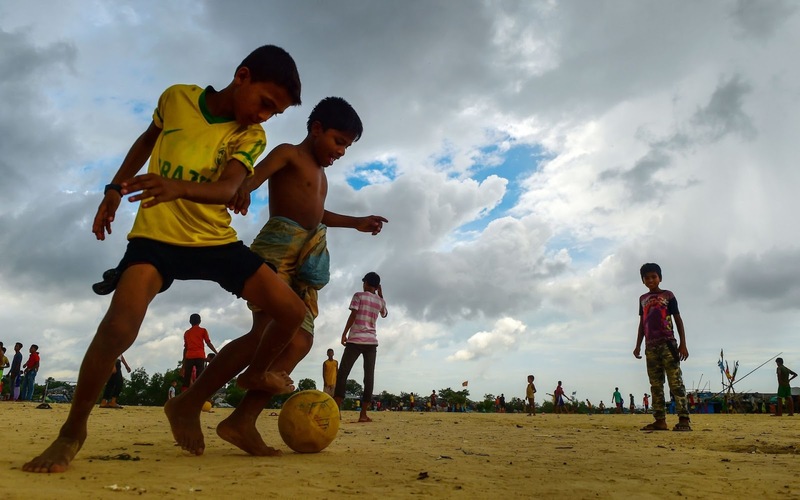 Rohingya refugee children play football at the Kutupalong refugee camp in Ukhia. 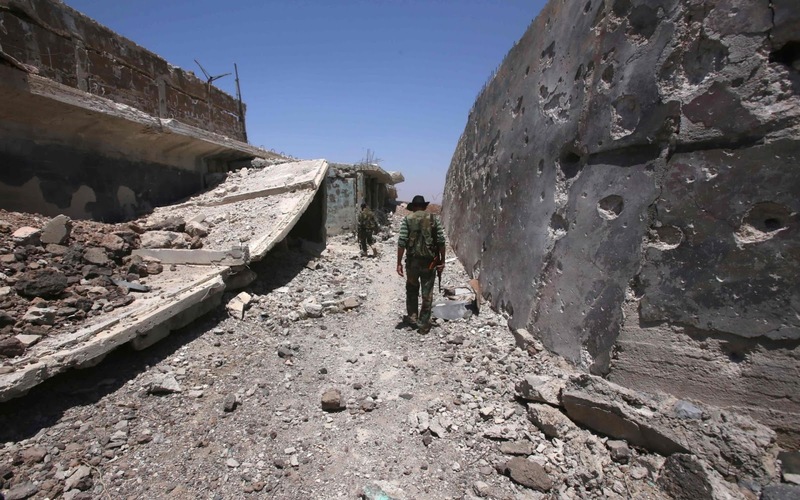 syrian government forces' soldiers walk in the city of Quneitra after taking it back to the rebels. 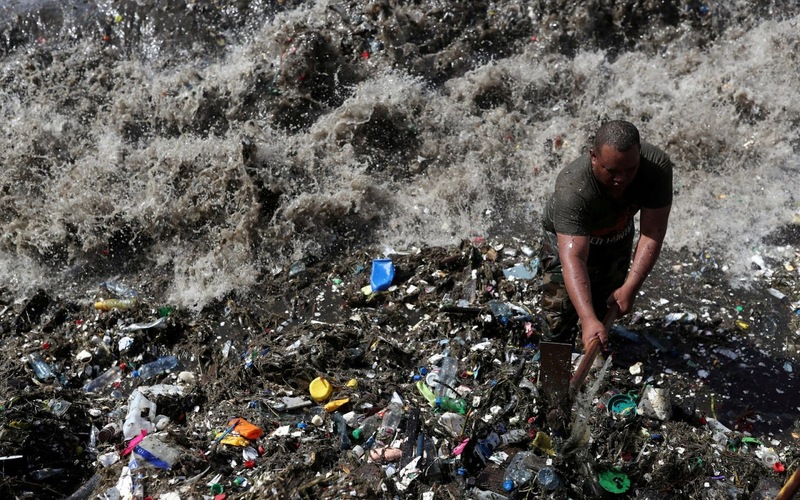 A soldier cleans the shores of Montesinos beach, which is covered in plastic and other debris, in Santo Domingo, Dominican Republic. 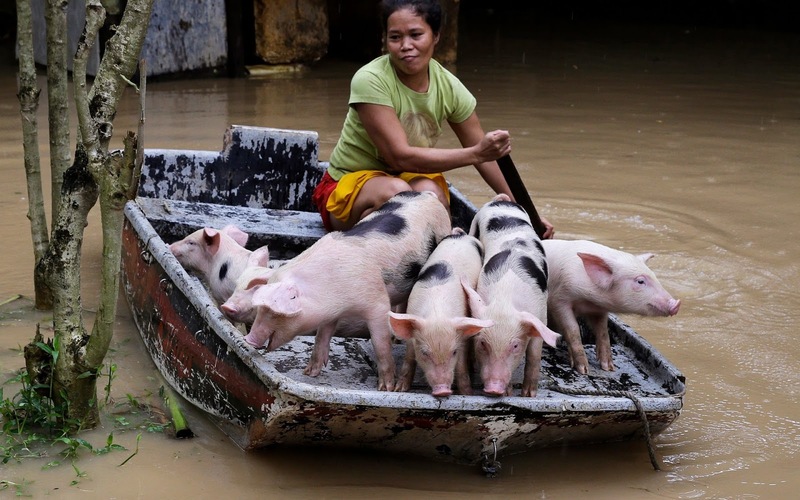 Evangeline Garcia paddles a boat-load of piglets to safety at a flooded village in Quezon city, metropolitan Manila, Philippines. 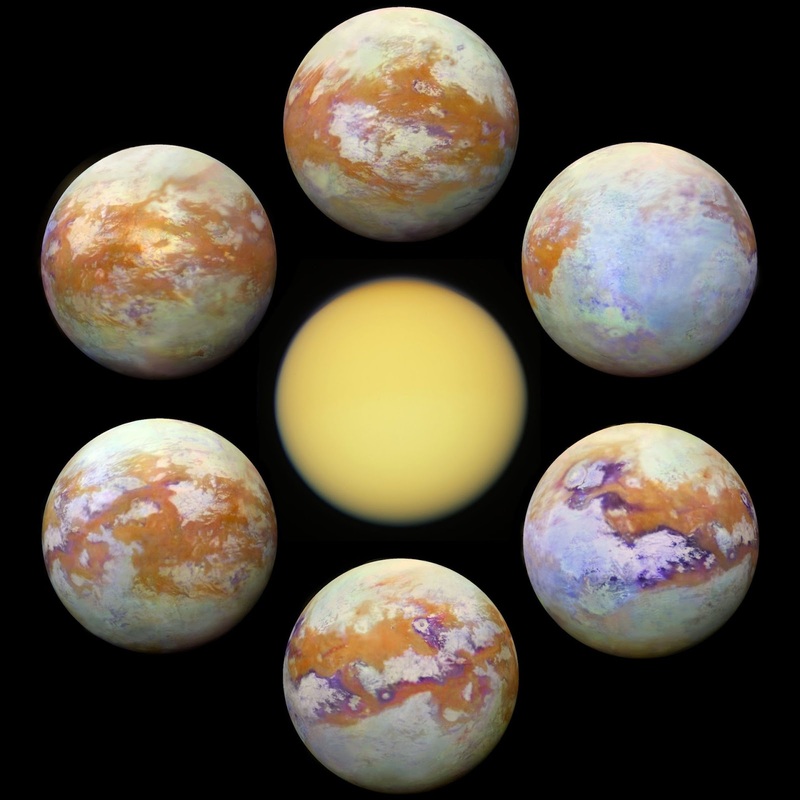 These stunning images represent the clearest view so far of Saturn's moon Titan. 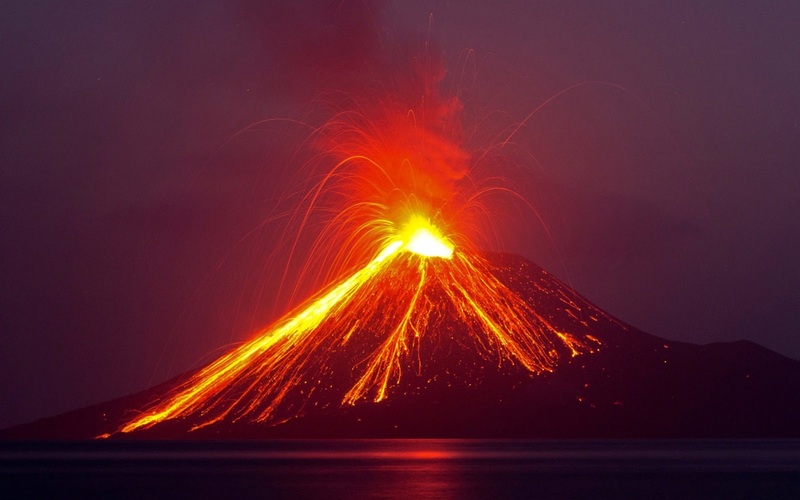 Lava streams down from Anak Krakatau (Child of Krakatoa) volcano during an eruption as seen from Rakata island in Lampung province, Indonesia. 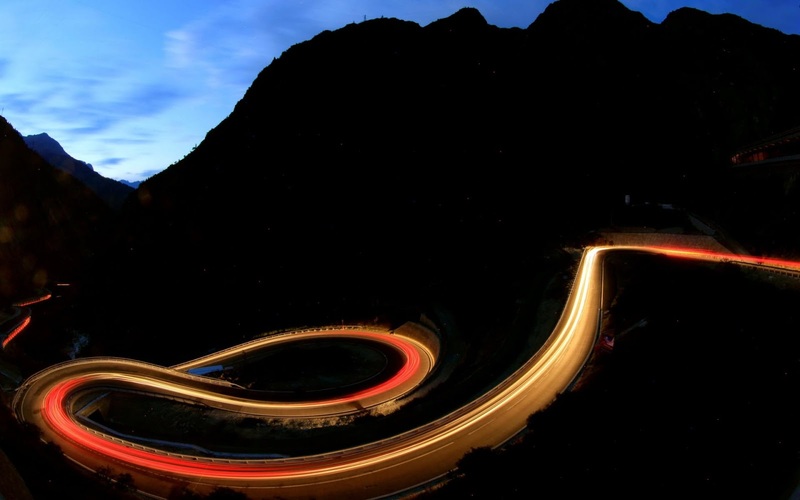 A long exposure shows traffic flowing on the Gotthardstrasse mountain pass road through the Schoellenenschlucht canyon near the village of Goeschenen, Switzerland. 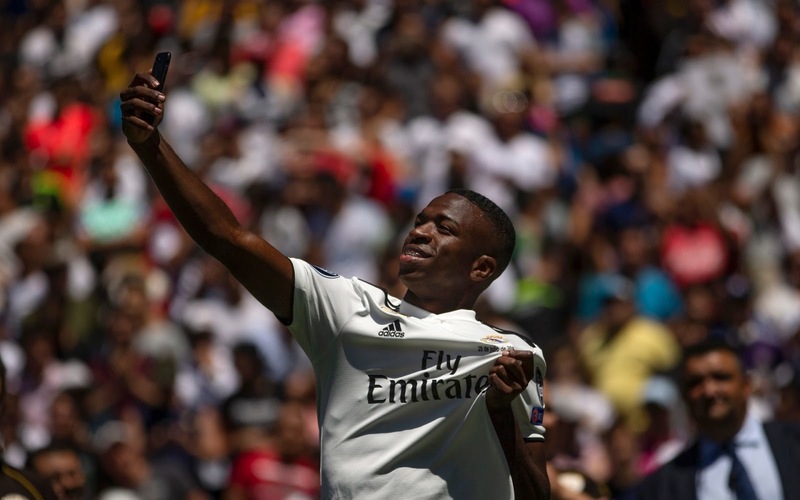 Brazilian new Real Madrid soccer player Vinicius Jr takes a selfie during his official presentation for Real Madrid at the Santiago Bernabeu stadium in Madrid, Spain. 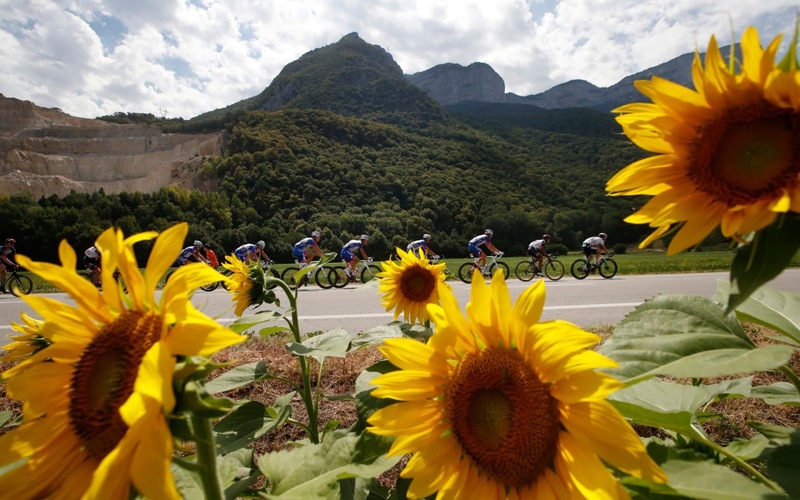 The pack passes a field with sunflowers during the thirteenth stage of the Tour de France cycling race. 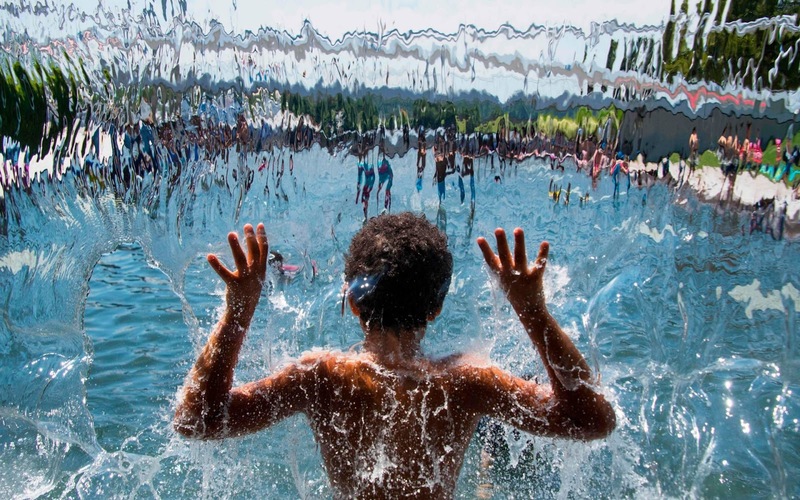 A child plays in the waterfall at Yards Park amid warm Summer temperatures in Washington, DC. 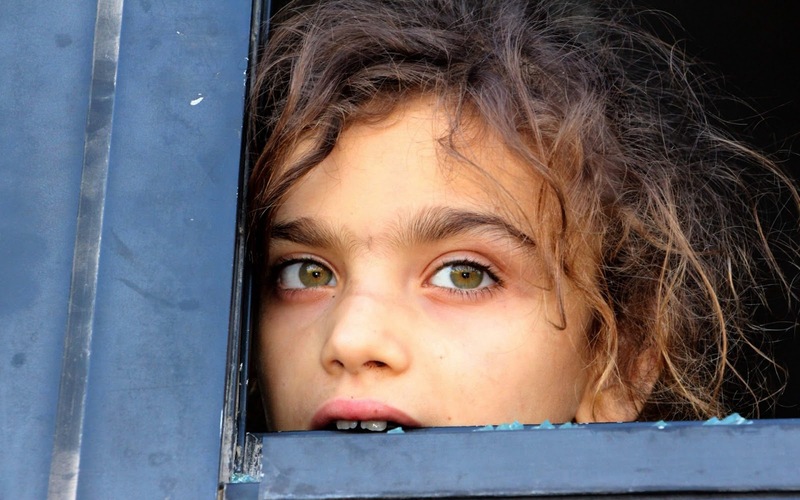 Honoree Danica Patrick accepts her Legend Award onstage during the Nickelodeon Kids' Choice Sports 2018 at Barker Hangar. 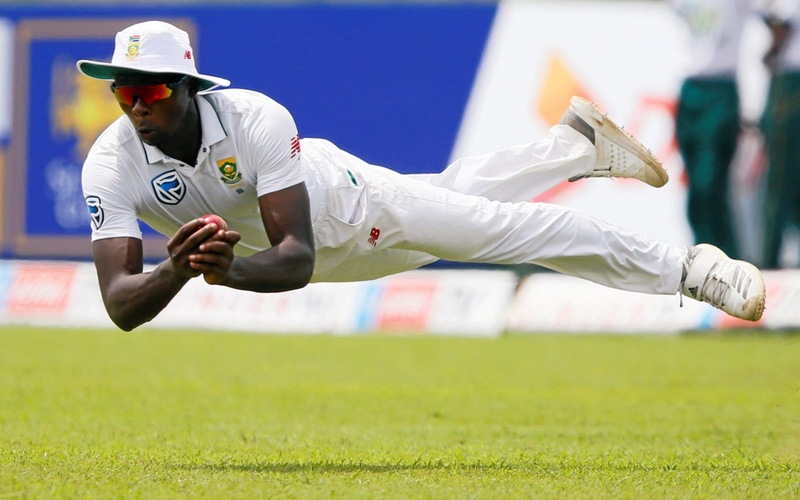 Cricket - Sri Lanka v South Africa -Second Test Match - Colombo, Sri Lanka.